A PIL has been filed before the Supreme Court challenging Article 370 of the Constitution which grants special status to the state of Jammu and Kashmir on the ground that it lapsed with the dissolution of the Constituent Assembly in the year 1957 while also praying that the Constitution of the state be declared unconstitutional for being against the supremacy of the Constitution of India. The PIL has been filed by advocate and BJP leader Ashwini Upadhyay. Upadhyay has prayed the court to declare that proviso of Article 370(3) of the Constitution of India lapsed with the dissolution of J&K Constituent Assembly on 26.01.1957 and has been restricted to being directory only and cannot be treated as mandatory for the exercise of powers of the President of India. 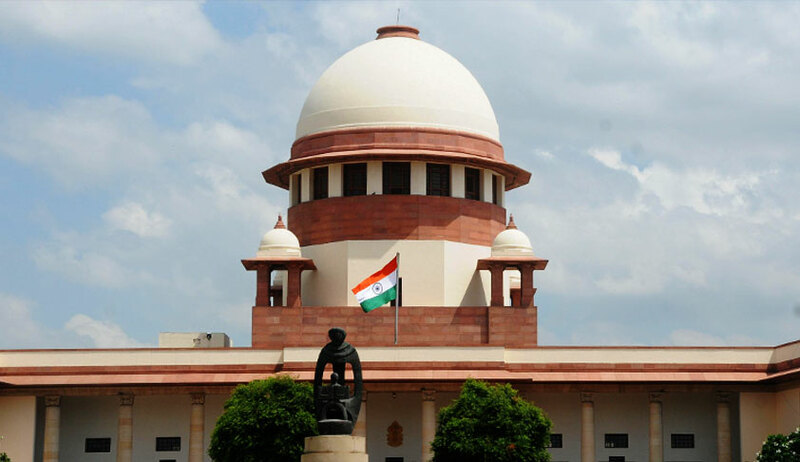 He also urged the court to declare that “the Constitution of Jammu & Kashmir is against the supremacy of the Constitution of India and contrary to the dictum of ‘One Nation One Constitution One National Anthem and One National Flag’”. Upadhyay also challenged Articles 6, 7, 8 and 144 of the Constitution of Jammu & Kashmir for being arbitrary and contrary to the fundamental rights—equality before law, equal protection of law, equal opportunity in public employment, right to establish educational institution, right to trade /business, right to own property, right to know etc., guaranteed under Articles 14, 15, 16, 19 and 21 of the Constitution of India. “The maximum lifespan of the proviso of the Article 370(3) was only till the existence of Constituent Assembly. It can be clarified from a perusal of the Constituent Assembly debates and the Article 370(3) itself. Hence, as on today, it is illegal and unconstitutional,” he said. “The Constitution of Jammu & Kashmir is invalid mainly for the reason that the same has not yet got the assent of the Hon’ble President, which is mandatory as per provisions of the Constitution of India,” added Upadhyay. He argued that a perusal of Article 370 as a whole makes it clear that the said provision was valid only till the Constituent Assembly ratified the instrument of accession and/or in alternative till framing the Constitution of Jammu & Kashmir, in conformity with/in consonance with the Indian Constitution with the approval of the President. “The Constituent Assembly was not in operation on the day of coming into force of the Indian Constitution i.e. 26.01.1950. Therefore, Article 370 should be deemed to have lapsed in 1954, when it ratified accession or maximum in 1957, when Constituent Assembly of Jammu & Kashmir dissolved,” he said. (i) Whether Article 370 of the Constitution of India is a temporary provision, lapsed automatically with the dissolution of Constituent Assembly of J&K, which was dissolved on 26.01.1957 mainly in view of Constituent Assembly debate and Article 370 (3) itself? (iii) Whether the second proviso of clause 3 of Article 370 of the Constitution of India lapsed with the dissolution of the Constituent Assembly which was dissolved/ lapsed in 1957 even assuming that the whole Article 370 did not lapse? (iv) Whether even assuming that the second proviso of clause 3 of the Article 370 of the Constitution still exists, even then, the same can be said mandatory in character/nature, in absence of Constituent Assembly of Jammu & Kashmir which was dissolved in 1957, or the same has been restricted/limited to optional/directory in nature only? (v) Whether the Constitution of Jammu & Kashmir, which came into force/ in operation on 26.01.1957, several provisions of which are completely inconsistent with/against the provisions of the Constitution of India, are constitutionally valid, especially in view of the facts that the said Constitution of Jammu & Kashmir has never been ratified by the President nor has been ratified by the Parliament nor satisfies the requirement of Article 1, Preamble of the Constitution, which can’t be eroded/even remotely, as, is clear from perusal of Article 370 itself. (vi) Whether the Government of India has rightly delegated the matter related to citizenship etc. to the State Government especially in view of the provisions of Article 1, 11, 246 and Seventh Schedule of the Constitution of India and its Preamble, by an agreement entered on 24.07.1952? Whether the Central Government has such power? (vii) Whether even after ratifying the J & K accession unconditionally in 1954, itself by the Constituent Assembly, the same could further proceed to frame separate Constitution?